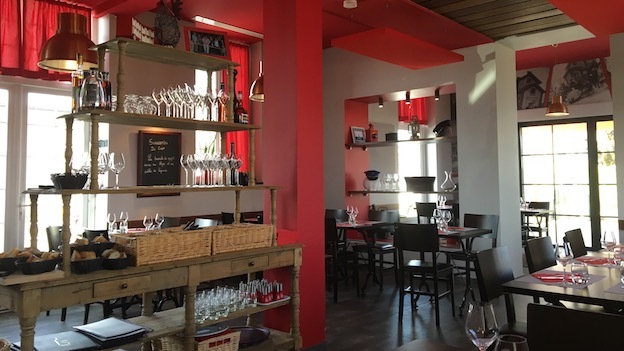 La Gare is an ideal place to stop by for an informal meal while visiting wineries and vineyards in Champagne’s Côte des Blancs. Housed in a former train station, La Gare is full of old world, countryside charm. The day I visited, La Gare was packed with locals, including the chef of one of Champagne’s top restaurants, both always good signs. With all due respect to the Champenois, I find eating in Champagne…challenging. What a breath of fresh air it is to find a place that excels with simple but flavorful food. La Gare’s menu is straightforward and consists of three or four choices per course. The three-course prix fixe is 26 euros, which is a steal. Although small, the wine list is well-chosen and has enough options to appeal to a wide range of palates and budgets. 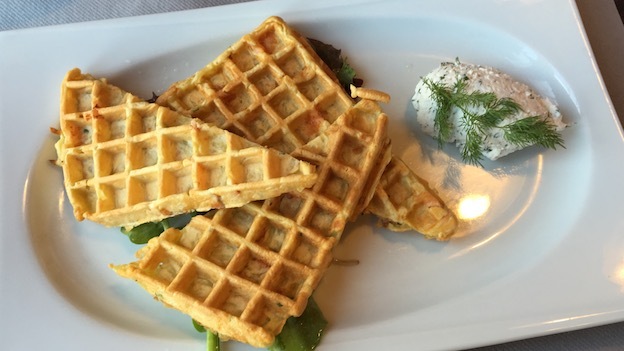 The potato waffles, while a bit unusual, are light, airy and absolutely delicious, which make them a satisfying lunch appetizer. 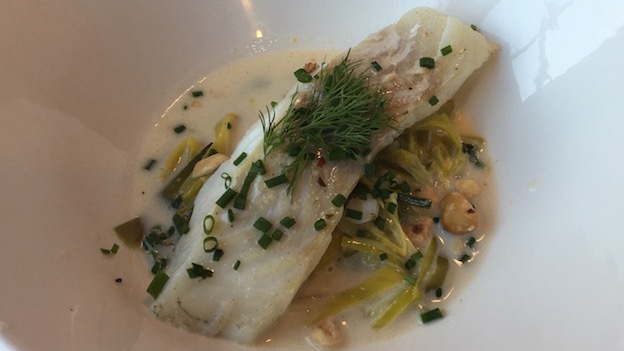 The fish of the day, cod, is perfectly cooked and served over a bed of sautéed leeks and a Champagne reduction sauce. Simplicity is often overlooked in cooking. This is terrific bistro food with no aspirations of being anything else than that. 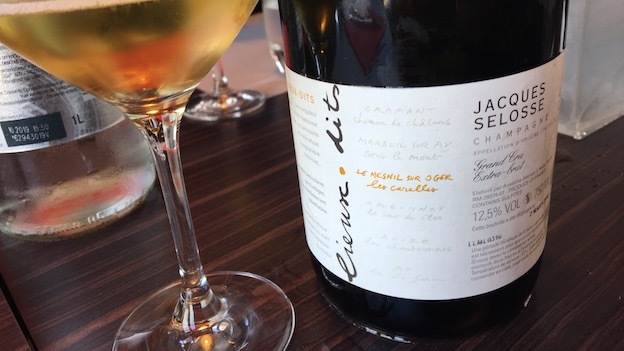 Selosse’s NV (2009) Extra-Brut Le Mesnil sur Oger Les Carelles is a bit too rich for this lunch, but when in Mesnil…Rich, ample and creamy, the Carelles exudes volume, with plenty of pastry, brioche and tropically leaning notes that fill out its broad frame effortlessly. I have just a taste, as a full afternoon of appointments awaits. Readers spending time in Champagne should make a point of stopping by La Gare, especially when a simple but well-prepared meal is the priority.